Lost Creatures Competition – Winner announced! 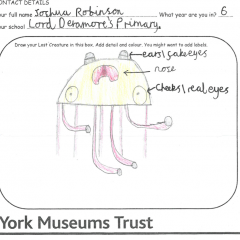 Huge congratulations to Joshua Robinson from Lord Deramore’s Primary School who has won The Yorkshire Museum’s Lost Creatures competition. 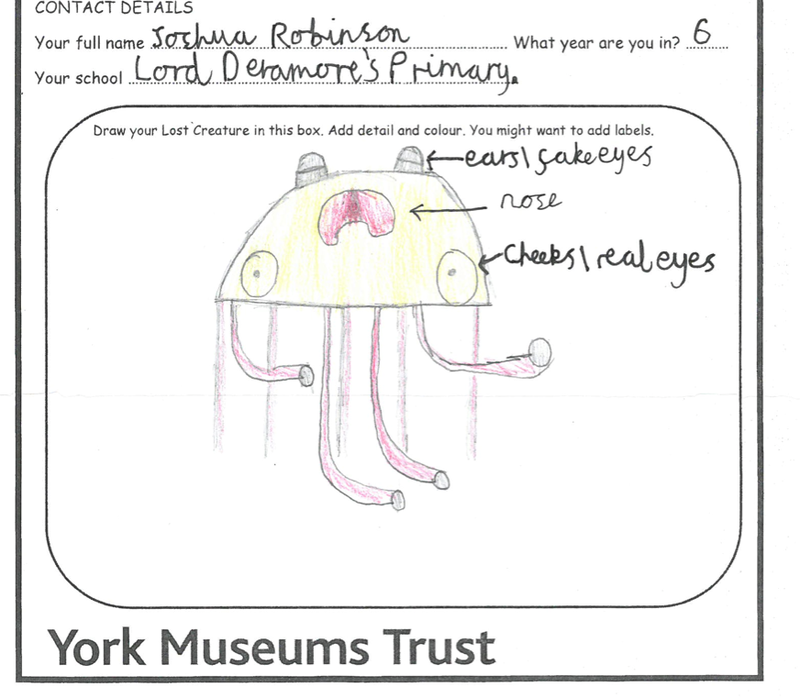 Children were invited to use our Extinct Gallery as inspiration for this schools competition. Their task was to study the different adaptations of animals on display alongside our examples of extinct and endangered species in the Museum’s collection before developing ideas for their own Lost Creature. 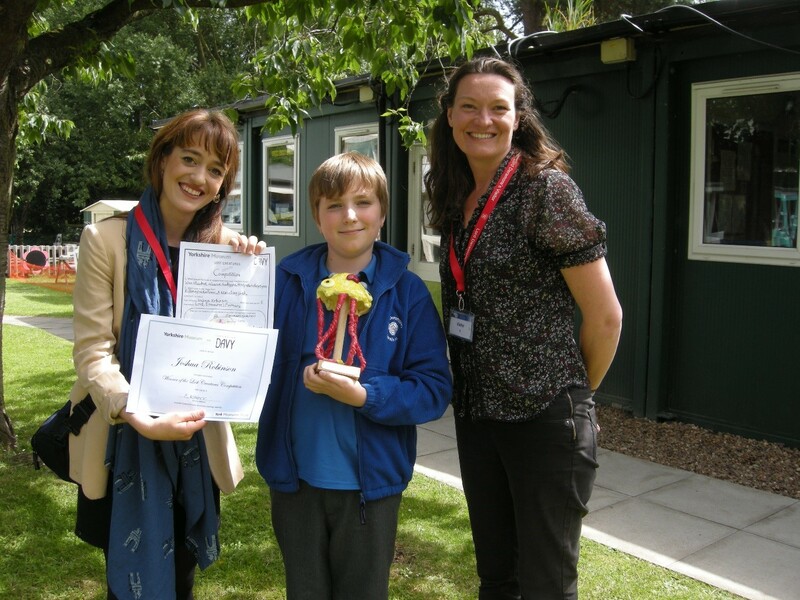 They were encouraged to think about special adaptations and their purpose, the diet, texture, colour and habitat of their creature. This links nicely to the primary science, National Curriculum. We had 87 entries in total and after 4 days, finally settled on a winner! 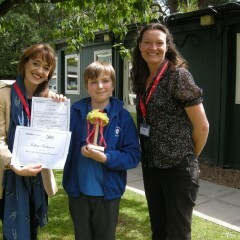 Joshua Robinson was presented with a certificate and a model of his creation, The Land Blubber! Lord Deramore’s Primary School wins a free Evolution workshop. The winning entry will be created into a human sized puppet made by Sheffield based costume designer, Georgina Davy. This will make its debut appearance at the Yorkshire Museum during October half term 2015.